August 22, 2014 – Featuring – Why do photography as a hobby? To show off an object, to create art, to create a image, to get accolades, to tell a story,…………. Most of the photos I take are, for sure, not perfect. I want to tell you about things in my day. 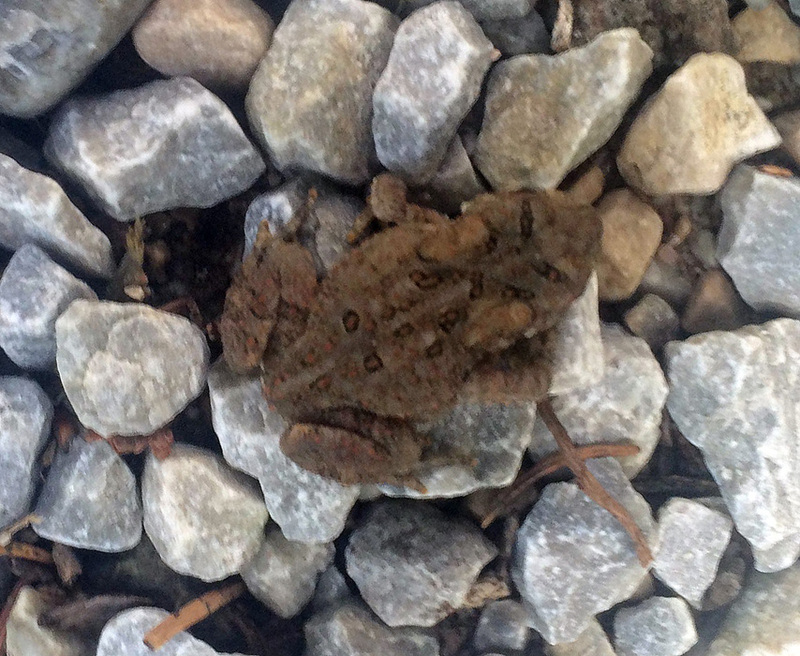 Today i wanted to tell you, at dinner, about the neat tiny toad I say today while doing barn work. 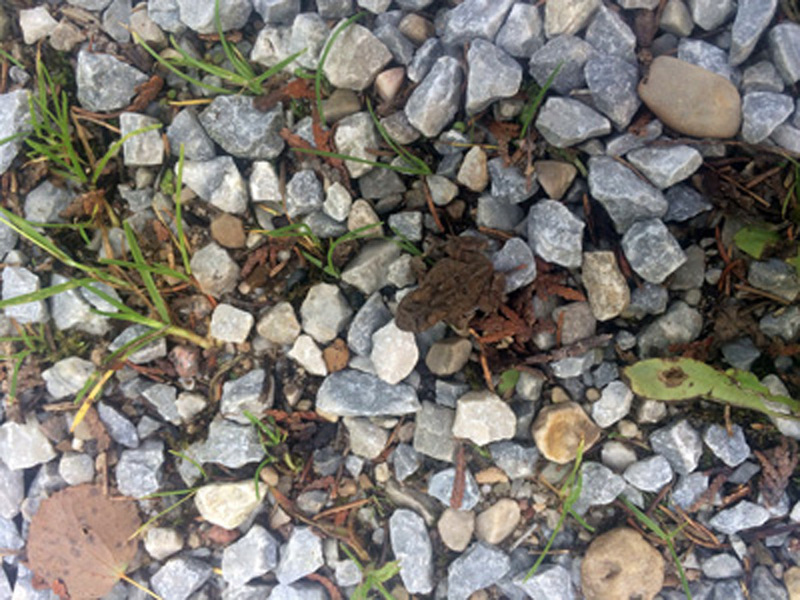 This is what I saw – just a little movement in the gravel and grass barnyard. I followed him/her to the gravel and got a little closer shot — Hopping along very rapidly. But how big is this toad? well I tried to hold him in my hand and take a shot with my cell phone in the other hand — that little bugger would jump right out of my hand before I could press the shutter. 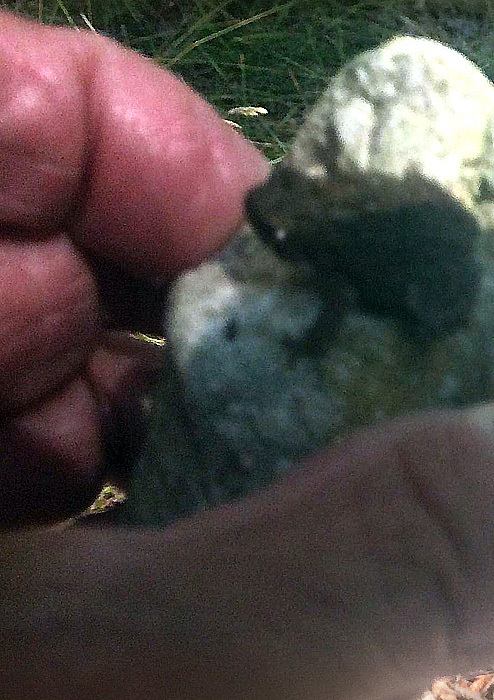 Finally I got him to stay on a stone I held long enough for a shot — pooooor photo quality – but it gets the story of his size to you. – Thanks for looking and listening! Hey – finding little things in the outdoors is always fun – Go find one NOW!